This project of exhibition wishes to present the 1960s’ and 1970s’ Italian and Japanese radical avant-garde experiences and the project ideas of their Italian and Japanese contemporary colleagues through a new key of interpretation. The exhibition explains such a different approach in a tour which is mainly divided into two sections. 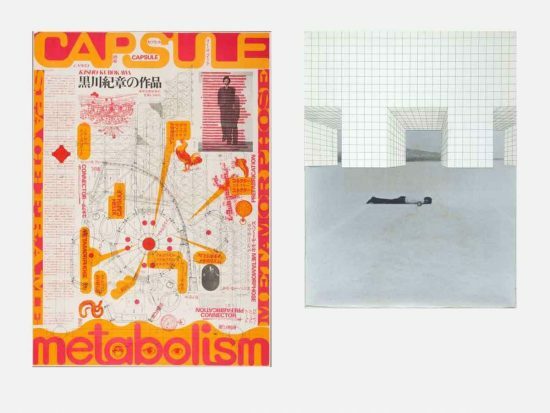 The first section shows the ideas, projects and dreams of the two architectural experiences of Italian Radical groups and Japanese Metabolism architects highlighting their objectives, similarities, approach differences, results, philosophical and historical heritage. The second section shows the Italian and Japanese contemporary architects adapting the architectural techniques to a modern, digital world characterized by economic and ecologic reflows, so different from the developing world of the 1960s.